George Galloway confronted by British student in protest over "racist" decision to boycott Israelis. Anti-Israel sentiment on British campuses is nothing new. Radical anti-Israel speakers and campaigners feature on a regular basis at many universities, so the appearance of George Galloway, an opponent of Israel so determined to attack the Jewish state that he recently blamed it for the gas attack on Syrian civilians in a Damascus suburb in August, would hardly have turned any heads. But the UK's most famous anti-Israel Member of Parliament got a little more he bargained for at a debate at the prestigious Oxford University. During a typical hour-long diatribe the Respect Party MP for Bradford West railed against the legacy of former British Prime Minister Tony Blair, whose decision to invade Iraq in 2003 was a catalyst for Galloway's ejection from the Labour party, after he called on British soldiers to disobey orders. Galloway also reiterated his plan to run for mayor of London - a prospect which the capital's Jewish community will certainly not be looking forward to. When it came to the audience Q&A session, after several minutes one audience member stood up and, facing Galloway, delivered a speech of his own - in Hebrew, whilst holding an Israeli flag. 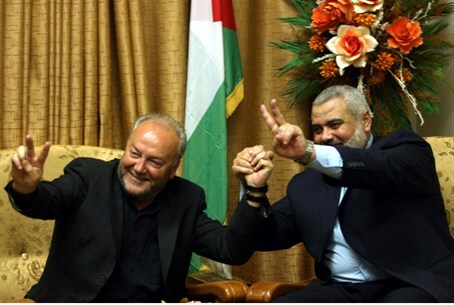 After Galloway claimed to feel "threatened" by the episode, the student, named as Jonathan Hunter, switched to English, condemning Galloway for his support of Middle Eastern dictators, including former Iranian President Mahmoud Ahmadinejad. Those comments referred to Galloway's decision to walk out of a previous Oxford University debate after finding out that the person he was debating, Eylon Aslan-Levy, was Israeli. Parodying Galloway's own remarks at the time that "I don't debate with Israelis," Hunter finished his stand by declaring "I do not have a question for you, because I do not debate with racists," before unfurling an Israeli flag and making his exit.